The world is a great place to travel. 2019 Brochure design – checking the color proofs. 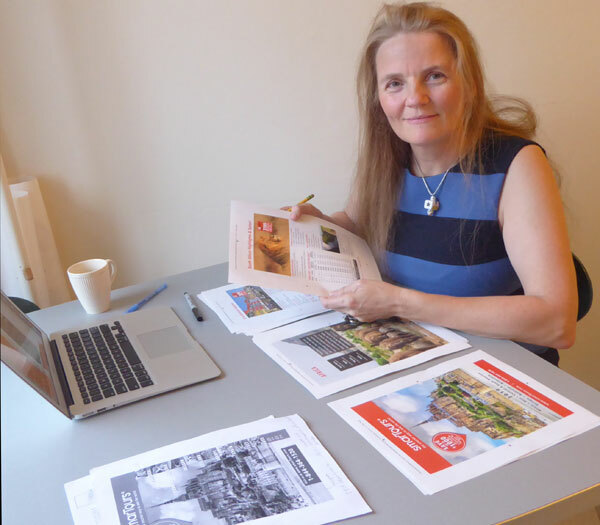 I have many years experience of serving the travel industry, and I have designed travel brochures and creative solutions for large and small travel companies: Group tours, safaris, river cruises, heritage- and special interest tours, to name a few. 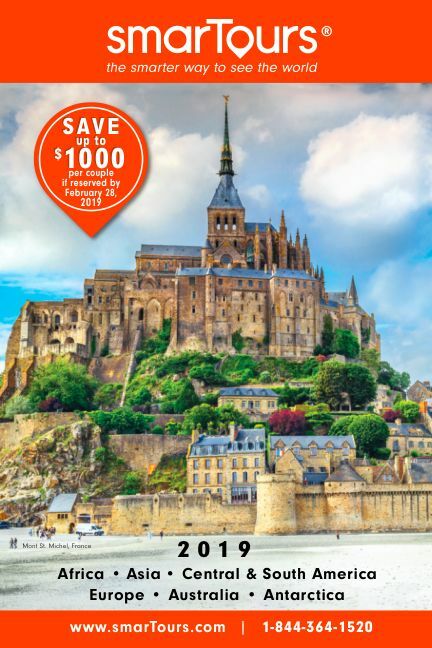 In 2019, print is strong, and combined with strategic digital campaigns, the travel business is a very exciting place to be. 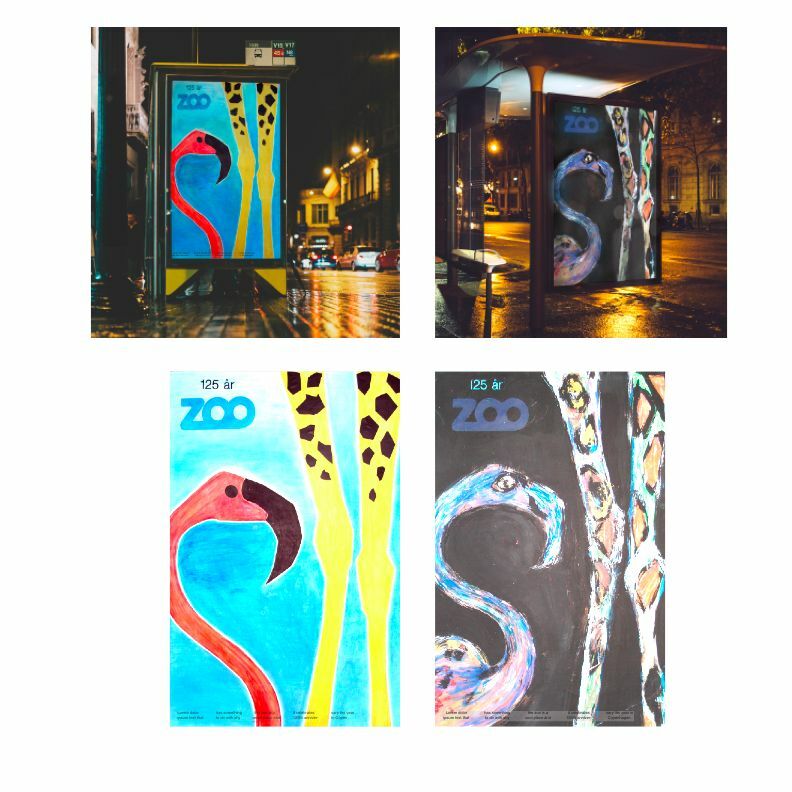 My illustrations for bus stop posters: Zoo night and day. 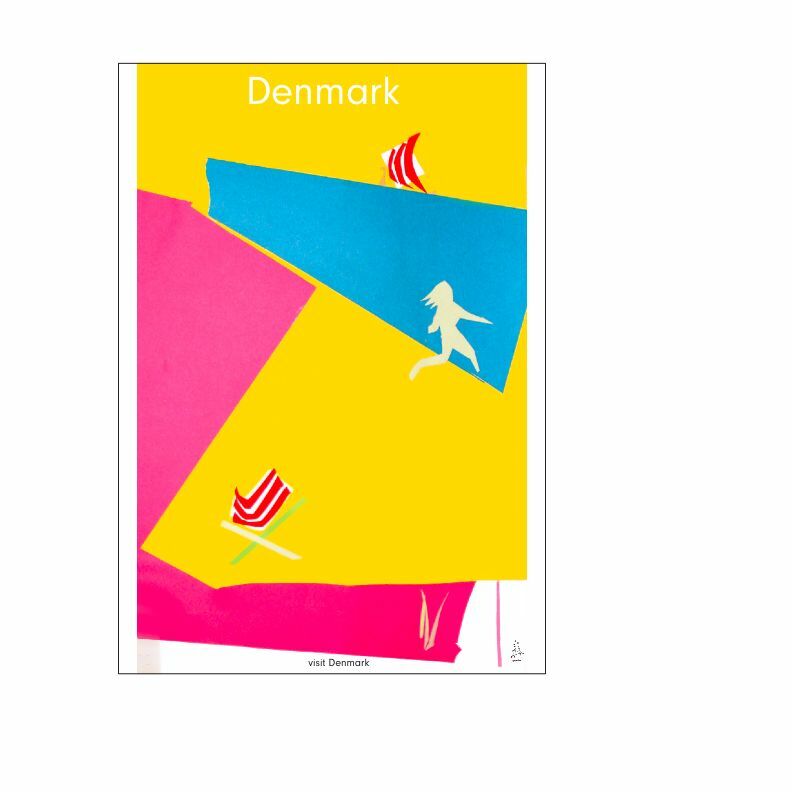 The yellow poster below is a Danish tourism poster with my illustration. The beach chair and the viking ship is a visual joke. 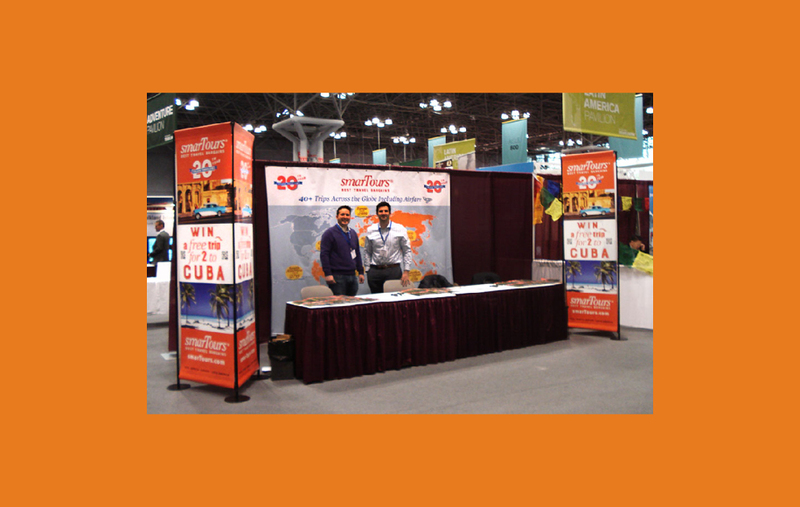 Since the inception of smarTours I have designed the smarTours’ brochures and their exhibits at the NY Travel show. At 150,000 travelers, I designed this 20th anniversary logo! – and I created the little airplane. Now shown over 11 million times in print, this airplane has earned its place as part of the brand recognition. It was conceived because in comparing prices, people were sometimes not aware that smarTours pricing includes the international airfare. 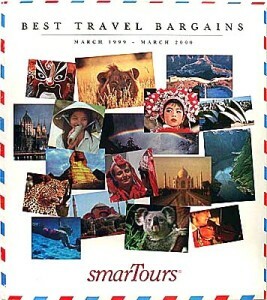 smarTours Brochure 1999-2000. 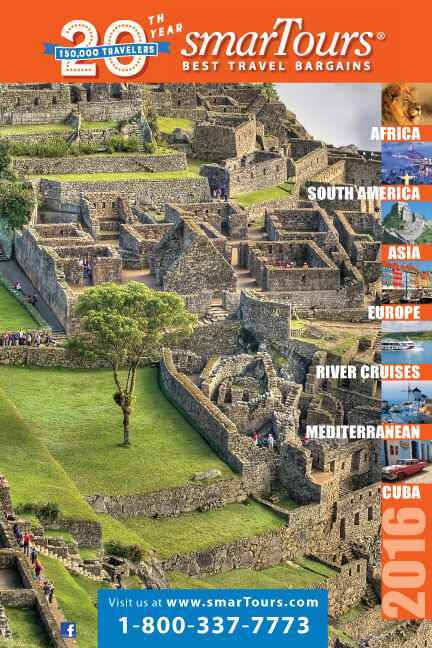 World picture collage with airmail border.